Bernie Mac passed away August 9 , 2008 . Bernie was one of the legendary “Kings Of Comedy “, known for their hard hitting comedy and social commentary on black folk. Bernie also was one of the comedians in “ Def Comedy Jam “ series , and was one of the stars the popular “Oceans 11” , and “House Party” movie franchises. Bernie Mac was probably best known for his popular Fox television series "The Bernie Mac Show," which ran from 2001 to 2006.The series won a critically acclaimed Peabody Award in 2002. Bernie Mack added to his collections the Golden Globe and Emmy awards. Despite winning these awards Bernie was most proud of the three NAACP Image Awards he garnered .The Bernie Mac show was important in social terms because it focused on a black man keeping the black family together. The story line featured the conflicts involving Bernie and three young relatives that were going to be taken over by the state.Bernie subsequently raises the children releasing them from the care of the foster system. 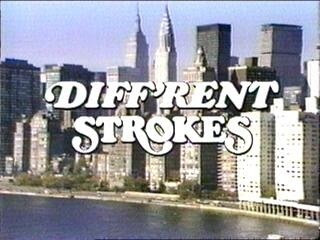 This was a radical departure from the white Phil Drummond character of "Different Strokes " in the 1970's who raised the orphaned black children of his maid. The Bernie Mac television character took an active role in the lives of his relatives and raised the children in a caring and loving environment.Many African American families have done this in the past and are continuing to do so today. 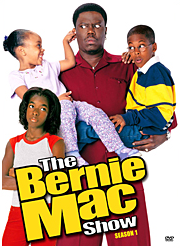 "The Bernie Mac Show " was relevant because his program indicated that not all black men dodge fatherhood ,some men run to it and embrace it.America embraced Bernie Mac and he will be missed ,thank you Bernie for standing up for the joys of fatherhood. Good piece. Love the research. The Bernie Mac that I thought most of was the one who challenged tv producers to get someone as black and contreversial as him. He was a real brutha and knew that America may have a hard time dealing with it. Thanks, Ed. A nice tribute. While a number of people were dogging out old school brother Bernie Mac a couple of weeks ago because of his comedy at the Obama fundraiser. I stood with my man, even though others wanted to be snobs and say all sorts of stupid garbage. Now my man is gone, and I still stand with him. Bernie always said he was not scared of you motherf*#_ers. He was an old school brother, who was not afraid of simple people that didnot understand urban reality or comedy. Here is my tribute to Bernie Mac. Rest in peace Bernie, and forget those motherf*#*#ers who didn't relate to your comedy. There were a lot of people, including this old-school brother who did. People began sleeping outside Friday night to be sure they had a seat. They started lining up outside the doors about four hours before the noon event started. About 7,000 people poured into the 10,000-seat House of Hope on Bishop Ford Freeway in Chicago to bid farewell to Bernie Mac, one of the "Original Kings of Comedy." His brothers in royalty -- D.L. Hughley, Cedric the Entertainer and Steve Harvey -- broke down at times as they paid tribute to Mac, who died Aug. 9 at age 50 of complications from pneumonia. But they also broke it down and kept the congregation laughing. “I was laughing so hard at times, it was hard to take notes,” said Kelley Carter, an entertainment writer for the Chicago Tribune, who covered the service. Bernie Mack and Issac Hayes, contributed a lot of comedy and music to the black community and they will be sorely missed. God gives talent and their talent and accomplishments speaks for both of them. It was a blessing to have them both here with us in this life. God had a plan and his plan is always the perfect plan. It is so ironic how both just completed a film together call Soul Men that will be out in November and they both shared their talents one last time together. Only God knows our comings and goings and both Bernie Mack and Issac Hayes life on earth was well worth everyday they spent in this life. My condolences go out to both families at this time.